A quick review today for a book I quite literally flew through as I was hooked from the very start. 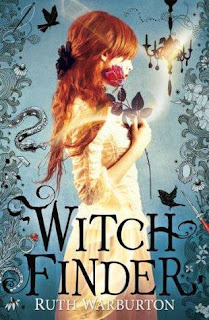 Witch finder is Ruth Warburton's newest offering set in Victorian London. I was hooked from the start. Witches in the east end of Victorian London! What more could you possibly want I ask you. The story revolves about Rosa a young witch who is being forced to marry an unpleasant man for money and Luke the stable hand employed to work at Rosa's house who is secretly there to kill Rosa in revenge for the deaths of his mother and father. For me this book really hooked me because of the setting. I have read Ruth's previous series (starting with a witch in winter) and love her writing and story telling as I find it effortless to read but I actually think I like this book more. I loved how you get a real feel for the time period the characters are living in and a feel for the different lifestyles and way in which people lived. I loved meeting both Rosa and Luke and finding out more about their story and why they acted the way they did. This book did a brilliant job of introducing them and I cannot wait to see where their story goes next as the rest of the trilogy unfolds. I also loved the occasional nod to Ruth's other series with organisations and family names being referred to that pop up in later books. It fascinated my little historical brain thinking that the characters I was reading about could in some way be related to those I loved in the other trilogy (it's not to say you have to have read the witch in winter series first as this book stands alone, I would recommend it though) and I was itching to delve more into that side of it and find out how everyone links up. 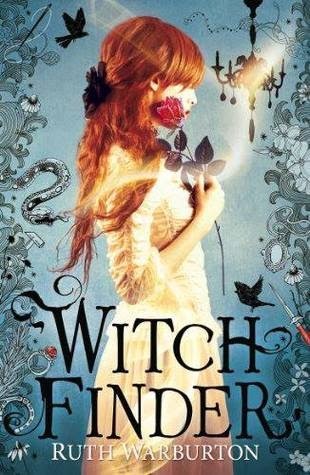 If you love books about witches or you love historical fiction like Mary Hoopers's Fallen Grace you will love this book. I must get this book because I adored Ruth's first trilogy and just look at that cover, I am glad you really enjoyed it as I have seen a few fairly negative reviews for it and they disappointed me as I have been looking forward to it for a while. Hoping to squeeze this one in this week in time for our video!